The federal government gave Washington and Colorado an ultimatum when voters in the two states approved cannabis legalization measures in 2012 – if the state governments wanted to legalize cannabis they would need to keep a close eye on every legal weed product in their state. The ultimatum, packaged in a memo from the Department of Justice, didn’t actually make the weed experiments federally legal, but local bureaucrats clung tight to the offer anyways, creating massive weed tracking systems that have since become the backbone of state-legal weed regulations across the country. In Washington, the state government heavily enforces pot tracking rules and licensed pot businesses allocate hours of employee time complying with the rules. The pot tracking system itself – with its exhaustive data on every transaction between every single licensed business – has even become a clearinghouse for regulating the legal system, according to Brian Smith, spokesperson for the Washington Liquor and Cannabis Board (WSLCB). Complying with these systems can also cause some of the biggest headaches for legal pot businesses. Software malfunctions can shut down sales, changes in software vendors can mean difficulties in reporting information, and running afoul of traceability rules can result in the cancellation of a businesses’ license. The WSCLB has handed out more than 388 violations for violating tracking rules – the most for any type of violation – over the last three years, according to the state agency’s public information. The next closest category is security alarm violations, at 239 violations. Nine cannabis businesses have lost their license over traceability violations, while 220 have been fined. Washington’s database is unique among the country’s pot tracking tools – unlike Colorado, Oregon, Alaska or Nevada’s traceability databases, the data behind Washington’s database is considered a matter of public record. Anyone willing to file a records request can receive the database – which has grown to over 45 gigabytes of data – and peer into the transactions of every single weed business in the state. A handful of companies have turned these massive raw datasets into user-friendly dashboards and that openness has turned the database into a tool for openly policing the entire legal system. Individuals can look into the data to report inconsistencies to the state, and the state can then check back through the database. The traceability system has also been a helpful way of convincing Washington’s banks to take on cannabis businesses. State-chartered credit unions are more comfortable taking on the risk of banking cannabis businesses because there is so much tracking data publicly available. It turns out legalization means more than just being able to freely grow your own pot. Growing pot might be the main objective of Washington’s licensed producers, but keeping track of that pot is always on their minds. Danielle Rosellison, a co-owner of the farm Trail Blazin’ Productions, said staying compliant with traceability rules is a full-time job. “Making sure that what is in the computer matches the actual inventory is an ongoing issue. Cannabis isn’t manufacturing, we aren’t stamping out widgets,” Rosellison said in an e-mail. 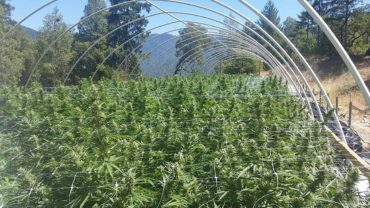 “It is really difficult to maintain perfect compliance.” Rosellison said nearly every single employee at her farm, which sold almost $120,000 in pot last month, works on traceability. These tracking requirements are vastly different from what medical marijuana was like in Washington, when the state had essentially no regulations on medical marijuana businesses. These new traceability requirements came as a shock to some of these business owners, and Smith said California should expect the same as they transition to a regulated market. “They are going to find a lot of people that didn’t work within the law before are now going to be under a tightly regulated system and there’s going to be some people in bristling at that and we certainly saw that in Washington,” Smith said. The state government has had its own difficulties with the traceability system. The entire database is built and managed by a private company, and a switch between vendors this fall is causing major headaches for the cannabis industry. The state had planned to switch from BioTrackTHC, the state’s original vendor, to MJ Freeway, a new vendor, on Nov. 1 of this year, but the new vendor failed to meet scheduled deadlines. That left the state without a functioning database and caused retailers to stock up on hundreds of thousands of dollars in extra product out of fears of an industry-wide shut down. For the past month, third-party software companies, which provide licensees with sleek software systems that send the traceability data to the state, have been filling the void left by MJ Freeway’s failed deadline. The state says the new system will be up and running by Jan. 1, 2018. The California Department of Food & Agriculture selected Franwell Inc. as the vendor for its traceability system and recently released an exhaustive list of rules for complying with the tracking requirements. Nick Mosely, the chief science officer for the Washington cannabis lab Confidence Analytics, said it is crucial for licensed cannabis businesses to work with third-party software providers or hire their own software development team, to interact with the state’s traceability system. 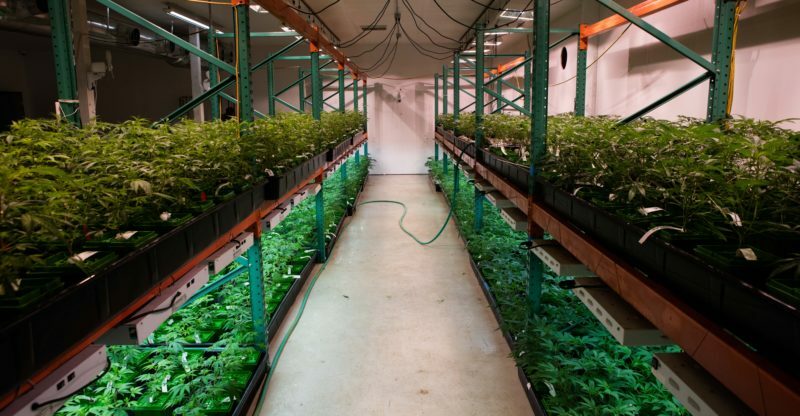 Rosellesion, who in addition to owning a farm is the president of the state’s largest cannabis trade group, said it was imperative for every licensee to know the regulations and stay involved as the rules change. Get ready California, cannabis tracking is coming for you.